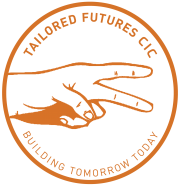 Tailored Futures delivers a bespoke service for ex-offenders to assist them to reintegrate back into the community. Our aim is to provide service users with the confidence, support and necessary tools to enable them to meet every day challenges such as; when looking to secure employment, housing or resuming Education. We provide the opportunities through the provision of a personalised service tailored to each client’s needs. The objective of our company’s service is to reduce the rates of re-offending and ultimately make our communities a safer place to live. In 2017, we worked with over 230 high-risk individuals and successfully placed 160 in Education & Training, 70 in fulltime paid work. In addition, we assisted over 30 secured suitable accommodation. Tailored Futures Copyright © 2016.